Misty's Lunar Eclipse is the third foal of Misty Moon Dancer. He shares his dam's black pinto coloring. Lunar Eclipse is a full brother to Misty's Midnight Moon. He is owned by the Hagquist family of New York. 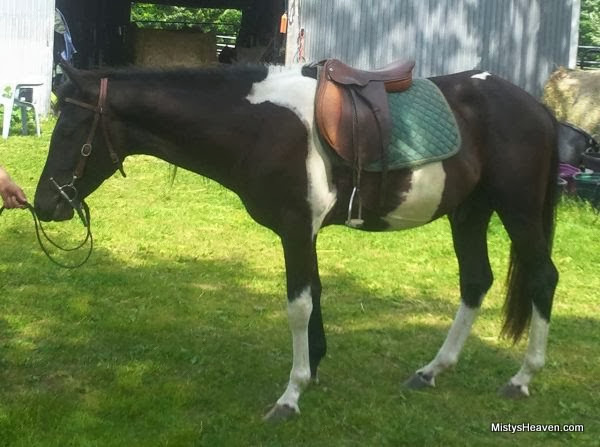 Lunar Eclipse was sold in 2013 and was gelded to become a children's pony in his new home. Lunar Eclipse sired two foals before being gelded, 2013 cremello pinto colt Misty's Silver Moon out of VIP Sterling Silverette and 2014 perlino pinto filly Misty's Golden Moon out of Island White Gold.